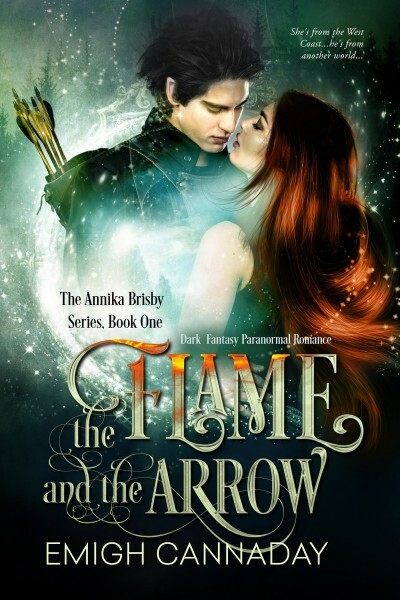 Aspiring rock star Annika Brisby thinks she knows where her life is going until she steps through a broken portal that leaves her stranded in a realm of fairies, druids, vampires, and other mythical beings. After being taken in by a prominent family of elves, she finds herself struggling to resist the seductive spell of their youngest son, Talvi. Equal parts arrogant and alluring, the notorious heartbreaker seems like the perfect distraction for her homesickness. What begins as a casual fling quickly burns too hot to handle. By the time Annika learns the consequences of their forbidden trysts, Talvi's already under her skin and dangerously close to her heart. But there's a mountain of secrets he's not telling her, and Annika can't help wondering who's really in danger.